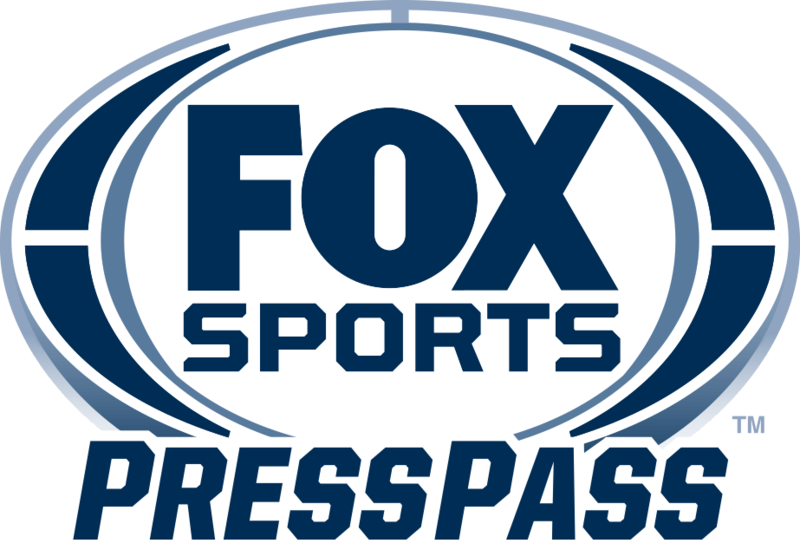 FEBRUARY 26, 2018 (LOS ANGELES, CA) – The FOX Sports House opens March 9-12 at the 2018 South by Southwest® (SXSW®) Conference and Festivals. With its sights on the World Cup™, FOX Sports kicks off a celebration of soccer at one of the world’s biggest interactive showcases for sports, innovation and the arts. Highlights include the SXSW® Sports Kickoff party, FOX Sports talent-hosted panel conversations with influential sports innovation voices, the groundbreaking PHENOMS documentary series launch and recognition of the Nossa Chape documentary’s film festival debut. The FOX Sports House is open daily from 11:00 a.m. to 8:00 p.m. Each day has different programming and events. Throughout each day, the house will offer DJ sets, food, drinks, and more. Rachel Bonnetta will also host a daily preview of her Twitter show that’s set to officially air in Moscow during this summer’s World Cup™. About: The FOX Sports House kicks off the brand’s World Cup™ with a celebration featuring special guests, food, drinks and entertainment. The FOX Sports House is open to all SXSW® attendees. About: FOX Sports will host the official SXSW® Sports Kickoff Party on Friday, March 9th from 7:00 – 10:00 p.m, kicking of the festival’s celebration of sports and innovation. A little less than 100 days out from the World Cup™, the brand’s FOX Sports House serves as an immersive homage to the beautiful game’s biggest global moment. On Friday night, guests can enjoy tattoo artists, interactive photography, and music as well as tacos, Moscow Mules and a selection of international beers. The FOX Sports House hours are 11:00 a.m. to 8:00 p.m.
About: Join host Rachel Bonnetta (FOX Sports Host), Kendra Bracken-Ferguson (Chief Digital Officer of CAA-GBG) and other influential voices for a discussion on social media influence and its role at the intersection of sport, style and popular culture. The conversation will cover the personalities and strategies that help dictate the constantly evolving present and future social media landscape. About: Moderator Stu Holden (FOX Soccer Analyst) speaks with Kay Madati (Vice President and Global Head of Content Partnerships, Twitter) and Devin Poolman (Executive Vice President, Technology, FOX Sports) about the present/future of creating engaging cross-platform content. With matches and viewers across different time zones this summer, media companies are creating a range of solutions to serve fans throughout the day on every device via TV, digital and social. Topics will also include new details on FOX Sports and Twitter’s live show collaboration during World Cup™ and more. FOX Sports House hours: 11:00 a.m. to 8:00 p.m.
About: Rob Stone (FOX Sports Studio Host) will host Gabe Spitzer (Executive Producer, FOX Sports Films) and others involved in the film to discuss the process of creating SXSW® 2018 film selection, NOSSA CHAPE, a film from Jeff and Michael Zimbalist (THE TWO ESCOBARS, PELÉ: THE BIRTH OF A LEGEND) The film chronicles the Brazilian soccer club Chapecoense’s tragic 2016 plane crash in Colombia. The film is the third documentary in FOX Sports Films’ new series, MAGNIFY, which leverages sports as a lens for examining important cultural stories. Panelists: Moderator Alexi Lalas (FOX Soccer Analyst), David Neal (Executive Producer, FIFA World Cup on FOX Sports), Aaron Maines (Director of Sports Marketing, adidas) and an additional major brand executive. About: This summer, the “World Becomes the World Cup™.” FOX Sports, the official English-language tournament broadcaster will roll out its largest production in the network’s 24-year history, connecting to viewers across TV, digital and social. Other elite brands will also vie for awareness, connecting to both the match action and culture that surround the game — a field of play ripe for fresh ideas. U.S. Soccer Hall of Famer and FOX Soccer Analyst, Alexi Lalas will host a discussion of the 360-degree approach to this summer’s World Cup™ with some of the business/brand “players” connecting to the tournament, including 35-time Emmy and Peabody Award Winner, David Neal (Executive Producer, FIFA World Cup on FOX Sports), Aaron Maines who leads Adidas soccer’s U.S. sports marketing and one additional major brand executive. About: Celebrate the launch of FOX Sports’ PHENOMS series with food, drink, series preview and discussion. Gordon Ramsay (star of FOX’s MasterChef, Hell’s Kitchen, 24 Hours to Hell and Back), Mario Melchiot (Executive Producer, PHENOMS; former professional player), Rob Stone (FOX Sports Studio Host) and David Worthen (Executive Producer, PHENOMS; Vice President, FOX Digital Studio) come together to showcase and discuss the beautiful game and its rising stars. PHENOMS is a groundbreaking documentary series, chronicling the journey of world’s next great soccer players on their quests to represent their respective countries in the upcoming World Cup™. About: The FOX Sports House is open daily from 11:00 a.m. to 8 p.m. Each day has different programming and events. Throughout each day, the house will offer DJ sets, food, drinks, and more. Rachel Bonnetta will also host a daily preview of her Twitter show, set to officially airs during this summer’s World Cup™. SXSW® attendees are invited to experience the FOX Sports House throughout the conference by attending the above panels and special events. For more on the FOX Sports House, please visit to keep updated on the event. SXSW® dedicates itself to helping creative people achieve their goals. Founded in 1987 in Austin, TX, SXSW is best known for its conference and festivals that celebrate the convergence of the interactive, film and music industries. The event, an essential destination for global professionals, features conference programming, showcases, screenings, exhibitions, and a variety of networking opportunities. SXSW proves that the most unexpected discoveries happen when diverse topics and people come together. SXSW 2018 will take place March 9- 18, 2018.